Interview recorded with my trusty Flip Video camera on a tripod sitting on a coffee table in the lobby of the Concord Hilton after Pat and Doobie Brothers manager and proprietor of our sponsor, the B.R. Cohn Winery, did a bottle signing of Doobie Red at the Safeway in Alamo and before the Doobie Brothers / Chicago concert at The Sleep Train Pavilion. Thanks to Patrick, Bruce and Kathy @ Bruce’s office. At the BR Cohn Fall Music Festival, 97.7 The River kicked off another Lobster’s Sunday Brunch Giveaway. 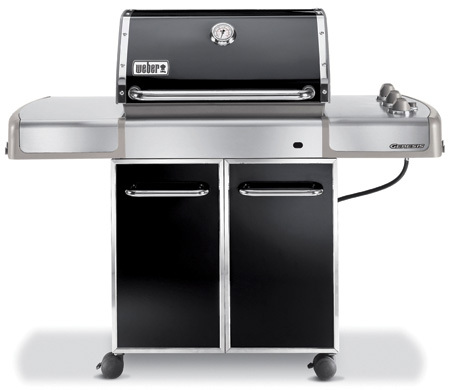 This time, we’ve added a really cool, or should I say, hot item of the Grand Prize, courtesy of Friedman’s Home Improvement: A Weber Genesis E-310 Gas Grill. One lucky River listener will also win dinner for two at Vineyard Inn in Kenwood, an overnight stay at Casa Verde Bed and Breakfast on the Rose Ranch, a private tour of the BR Cohn Winery and a gift basket filled with BR Cohn premium, gourmet products. You’ll also be eligible to win weekly drawings for gift certificates, CD box sets, concert tickets and more every Sunday through the fall from 10AM – 3PM on Lobster’s Sunday Brunch. Listen to the Lobster for more details on how you can enter to win from 97.7, The River. Meanwhile, here’s the last Grand Prize winner, video taping her own name being drawn by Lobster and The River Road crew with Peter Romulus and his dad leading a rolling on the river sing-a-long of Creedence’s “Proud Mary” at BR Cohn on May 31st. One of the best things to ever happen to a Chocolate addict who needs to lose weight was the invention of non-fat frozen yogurt. Paul “The Lobster” Wells, once ballooned up to 295 lbs. as a radio restaurant reviewer at age 23. During his stint performing for CBS as the Morning Show (The Lobster Breakfast) on KRQR San Francisco in the late ’80s to early ’90s, he went on a weight watchers program called “inner circle” and dropped down to 178. Reza is the owner of 3 North Bay self-serve frozen yogurt stops. The one on Farmer’s Lane is close to the Maverick Media studios where Lobster now cooks up his weekly program. Over the six-year run of the nationally syndicating the hour-long radio program, Lobster’s Rock Box, our host recorded interviews with many Bay Area music notables. 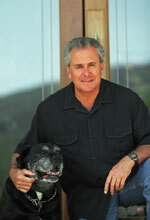 He sat down with Bruce Cohn in his office at the Olive Hill Estate, and the conversation ranged from Bruce’s childhood in Sonoma thru his career as the Doobie Brothers manager To his becoming the proprietor of the BR Cohn Winery and the BR Cohn Olive Oil Company. This is the latter part of that long, insightful and fun conversation. If you listen closely, you may hear The dog tags jingle when Bruce’s late, great four-legged companion, Moose, moved around a bit at the foot of Bruce’s desk! 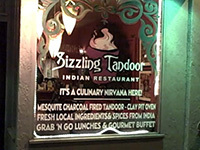 The new website for our flagship station, 97.7 The River was where our Crustacean DJ saw that Sizzling Tandoor in downtown Santa Rosa had been voted the North Bay’s Best Indian Restaurant. The food and hospitality he experienced get 5 claws! 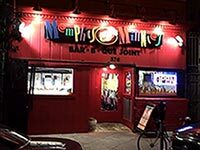 When you go to San Francisco, your Restaurant choices are many, and the convenience of one on Lombard Street right before the turn onto Doyle Drive is a good stop for North Bay residents when on a night out in The City. A bonus, is one with great, unusual food at reasonable prices and one that gives back to their community. 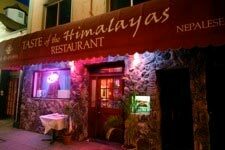 Such is the case of the Nepalese cuisine. Lobster asked listeners for suggestions of Restaurants to visit in Santa Rosa. 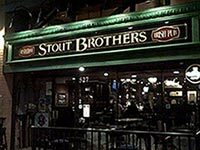 An email from Paul Sullivan gave a strong recommendation to The Stout Brothers. Our intrepid Crustacean DJ visited after the Sunday Brunch one Sunday with Joey Davis and her friends. Joey’s Celtic roots were tickled by this Irish Pub and Restaurant. It was great. Thanks, Sully! In San Francisco’s Lower Haight, there’s a popular Barbeque restaurant that serves several types of sauces at the table. It was also the perfect Restaurant to pair with the song “Memphis Soul Stew” by King Curtis backed by Booker T and the MGs. Lobster walks in off Haight Street and right up to the counter with his Flip Video camera. We speak with Harold Rogers to find out why many people say his Restaurant in a little strip mall on Piner Road serves the best ribs in town. He and his wife Nancy opened the Red Rose Café after the bowling alley where they had a food concession closed down. 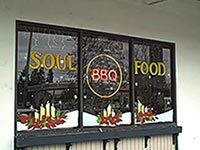 Authentic Soul Food is what you’ll get from this down home spot serving breakfast, lunch and dinner.